The Russian military has launched airstrikes against the Islamic State stronghold of Raqqa in Syria with cruise missiles from the Mediterranean Sea, France’s Le Monde newspaper said, citing a French official. Russia gave notice to Washington ahead of the airstrikes, in accordance with an agreement on air safety, US official said, adding that some of Russian strikes had targeted Raqqa, the stronghold of IS militants. 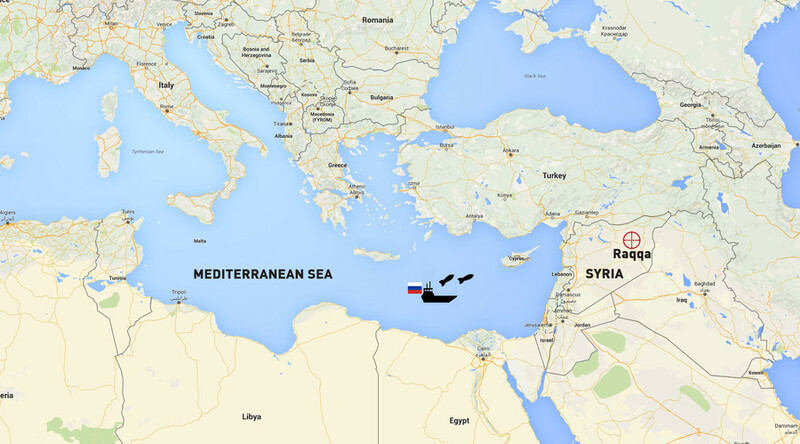 If confirmed, this would be the second time Russia has hit Islamic State positions in Syria from the sea. The first attack was in October this year when Russian warships fired cruise missiles from the Caspian Sea to hit several Islamic State positions in Syria. On September 30, Russia launched its military operation against Islamic State at the request of the Syrian government. Since the start of the operation the Russian military have destroyed hundreds of extremist targets in the Syrian provinces of Aleppo, Damascus, Deir ez-Zor, Hama, Homs, Idlib and Latakia. Earlier on Tuesday France’s defense ministry confirmed that Raqqa was also being targeted by the French military. "For the second time in 24 hours the French military conducted an air raid against Daesh [derogatory name for Islamic State] in Raqa [Raqqa] in Syria," the ministry said, adding that ten Rafale and Mirage 2000 fighters dropped at least 16 bombs. "Both targets [chosen for the attack] were hit and destroyed simultaneously…Conducted in coordination with US forces, the raid was aimed at sites identified during reconnaissance missions previously carried out by France." France started launching airstrikes against Islamic State militants in Syria in September. The strikes have intensified following the deadly Paris attacks on November 13 that left 129 people dead. The attacks were claimed by IS militants. On Tuesday, French Defense Minister Jean-Yves Le Drian made the country’s first-ever request for military help from all 28 EU members in French operations in Middle East and Africa. Such EU defense cooperation is possible thanks to the 2009 Lisbon Treaty. "France cannot do everything, in the Sahel, in the Central African Republic, in the Levant and then secure its national territory," Le Drian said.